Launched as the ss Delta in 1856, she was built by Summers, Day & Co of Southampton with a gross tonnage of 812, measuring 257 ft 6 inches by 29 ft 10 inches beam. She was powered by direct-acting trunk steam engines of 210 ihp, driving a single screw, which gave her a service speed of 12 knots. 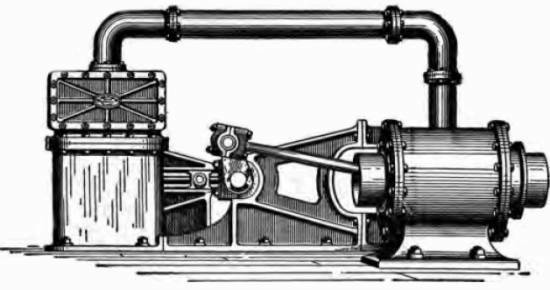 Direct-acting Trunk Steam Engine, lower in height than a conventional triple-expansion engine. for the formal opening of the Suez Canal. She was sold to Shanghai owners in 1872. "Her machinery has been thoroughly overhauled and she has received new boilers, fitted with super-heaters. The whole of the woodwork is new: deck houses, bulwarks, fo'csle, new spars, rigging etc. Every plate of her hull has been carefully looked to and she is now as sound and staunch a boat as on the day she was launched." There is nothing probably in the history of Bombay that goes to show more clearly how great and how increasing is its prosperity than the vast additions made within the past few years to its steam fleet. Formerly three or four crazy old tubs were all that private enterprise could boast of for the conveyance of passengers to Surat and elsewhere, and we were dependent on the Indian navy vessels for a passage up or down the coast, or a trip to Suez. Now we have the British India Steam Navigation numbering some twenty vessels in all; the Coast and River Steam Navigation Company, a purely local service, as its name implies; the China Merchant Steam Navigation Company; the Bombay and Calcutta Steam Company; and last and most important, the great P&O. In addition to these there are several of the aforesaid tubs still in existence for the use of those who still feel inclined to use them; and there cannot be less than fifty first class steamers running to and from the port of Bombay. With so vast an accession to the steam marine a good fitting and repairing yard has become not only a necessity but a crying need of the day. All these companies, with one exception, are dependent on the Government Dockyard for the execution of their repairs; and however large that well ordered establishment is capable of achieving - and it does achieve a great deal - delays, as vexatious as they are unavoidable, are of frequent occurrence. The P & O with that foresight so characteristic of its management throughout its multifarious details, saw a good deal of what was looming in the future, and made arrangements accordingly. Their new dockyard, one of the finest in the world, when finished, will be capable of docking the largest steamer afloat, always excepting the Great Eastern. In their old yard they have accomplished wonders and have wholly renewed no less than seven steamers, the Bombay, Madras, Singapore, Ganges, Azof, Simla and Aden besides effecting important repairs to almost every important vessel the Company has in these seas. The renewal of the Aden differs but little from that which the before-named steamers underwent. Her machinery has been thoroughly overhauled and she has received new boilers, fitted with super-heaters. The whole of the woodwork is new deck houses, bulwarks, fo'csle, new spars, rigging etc. Every plate of her hull has been carefully looked to and she is now as sound and staunch a boat as on the day she was launched. Although a goodly number of invitations were issued for the trip, there was a very small muster on board on Saturday. This was no doubt owing to the boisterous weather. It blew very spitefully early in the morning and a dread of sea-sickness probably kept many away. Twelve was the time named for starting and shortly after that hour we went ahead full speed, down the Harbour, with a strong head-wind and a short choppy sea right in our teeth. A total absence of conviviality was the only marked feature of this trip and which in any way distinguished it from those which your correspondent had the honour of attending before. All on board appeared afraid of what they were pleased to term the sporting proceedings of the day, and any number of bets were made that any number of cats would be shot, before we reached the Outward Light. Strange to say we were all disappointed, and many of us most agreeably. By the time we had reached the Inner Light the vessel had begun to be lively, and before we reached the Outer Light, which we did in precisely thirty minutes, she pitched and rolled about in gallant style and "holding on" became the order of the day. In turning, the little Aden gave us taste of her rolling qualities we little expected, and that sumptuous tiffin which is always provided on these festive occasions, so cunningly and artistically arranged in the pretty saloon, to the consternation of all and everyone of the stewards, suddenly got adrift. A pigeon pie consorted with the ham; cold beef and chickens flew at each other like mad; a general crash among the crockery ensued, and a wild cry arose from below calling all hands aft "to hold on". Once her head got fairly round she pitched rather than rolled to the intense relief of all, and to none more than the perspiring stewards. With the wind and sea with us, the run from the Outer to the Inner Light occupied exactly 24 minutes, giving a mean speed of 10½ knots. This although less than anticipated, was considered very satisfactory and as we had braved Father Neptune once, it struck us as desirable to let well alone and not do it again in the then state of the elements, but rather proceed under easy steam to the Mazagon, in order that we might get a comfortable tiffin. We did justice to the tiffin of course, and I am bound, for the justice of the stewards, to say it appeared none the worse for its mishap. The engines worked admirably throughout the trip averaging 54½ revs. with a pressure of 13½ 1bs. steam; and a vacuum of 25½. The temperature of the steam heated was 250; temperature of sea water 87, and of the stoke hole 107 degrees. Some difficulty was experienced in raising steam owing to the firemen being new men and evidently not up to their work. Twenty pounds to the sq. inch instead of 13½ would have made a vast difference in the vessel's speed but under the circumstances it became an impossibility to raise more than the latter quantity, to the great disgust of the engineers. The Aden is one of the prettiest boats ever launched and, when in good order, one of the fastest, 13 knots an hour being very moderate work indeed for her. She has seen as much service probably as any vessel the Company ever had and has the honour of having made the quickest passage from Bombay to Aden ever recorded. On that occasion she averaged 12½ knots the whole was across, reaching Aden in 5 days and some odd hours. Latterly she has been engaged in the China Coast trade, running between Hong Kong, Shanghai &c. and while there had the satisfaction of beating the three fastest American boats plying between Canton and Hong Kong. This was about two years ago and on the glorious 4th of June. Some heavy bets were laid and our cousins were sure they would give the British a tarnation licking. The result proved a very unfortunate one for them for the Aden walked clean away from the three and reached Hong Kong thirteen hours in advance of any of them. The Aden is 812 tons burthen, driven by a splendid pair of direct-acting engines of 210 nominal horse power and berths 33 first class passengers. She takes the China mail of the 14th. inst. (owing to the Jeddo having a broken shaft) and on arrival at Hong Kong will again be stationed on the China coast line. She has been renewed with marvellous celerity, the first boiler not having been put on board before the 11th May last and is another instance of what the employees of the much abused P &O are capable of accomplishing. The Ottawa, now in harbour, is to be renewed in a similar manner; on her completion the Nubia and then the Candia will be similarly treated. A singular feature of these trial trips is that one always sees a number of familiar faces, just as if the Company kept a lot of servants for this particular work. They don't do this, I know, but tile fact is a fact, nevertheless. 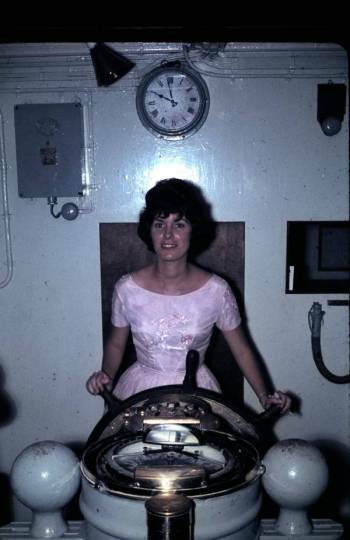 For instance, I go into Mr. Dunbrown's cabin, the Chief Engineer, and there I find the identical „boy‟ who has been in every other Chief Engineer's cabin on every other trial trip of the Company's vessels. There can be no mistake about the matter, for this mysterious individual calls to my mind how carefully he looked after my hat, when my head was over the bulwarks on one occasion; and how he plied me with champagne in the saloon on another; and how, he, himself, got dreadfully drunk with his master's brandy, and was found asleep in that master's bed. To be sure, I recollect it all. He can‟t explain it. He has no idea how it comes to pass, but here he is, and that's all he knows. An ancient looking 'boy' is he, with a very small head and curly hair, and as he audibly chuckles at my amazement, reminds me very strongly of the representation of Mr. Samuel Weller as portrayed by “Phiz” in the immortal "Pickwick Papers". Again the careful, careworn and industrious steward with the pale face. He too is always at these trips. How does he manage it? Perhaps he can explain. Of course we would not run outside the Harbour without a discussion of the “lights”. I will not weary your readers with that discussion, merely remarking that it was the oft-told tale - a condemnation of screw pile lights for Bombay. One gentleman who joined the group as we were finishing the discussion, mistaking the nature of the argument and thinking we were speaking of a well-known bodily ailment, recommended Holloway's Pills and Ointment as a certain specific for that complaint. He apologised of course, on the error he had made being pointed out; but if the suggestion was at any time of service we were quite welcome to it. On the 9th June 1897, the ss Aden was wrecked on the eastern coast of Socotra while on passage from Colombo to London. SS Mayo's cutter taking off survivors from the wrecked ss Aden. Print by David Nash, for The Graphic. The newspaper employed many of the talented artists and engravers of the period to illustrate news and events and to entertain. The "Aden," official No. 98775, was a British screw steamship, built of steel at Middlesbrough by Sir Rayton Dixon and Co. in 1892, and registered at the Port of Middlesbrough. Her dimensions were as follows: Length, 366 feet; breadth, 46.1 feet; and depth of hold, from top of beam amidships to top of keel, 31.2 feet; whilst her tonnage was 3,925.0 gross tonnage, and 2,517.49 tons register. She was classed A1 at Lloyds. She was fitted with one triple expansion direct acting vertical engine of 2,050 horse power. At the time of her loss she was the property of the Peninsula and Oriental Steam Navigation Company, of 122, Leadenhall Street, in the City of London. On the 17th February, 1897, a passenger certificate was granted to her by the Board of Trade, stating she had complied with all the requirements of the Passenger and Life Saving Act. She was fitted with three lifeboats and three other boats, capable of accommodating 276 persons, and with all the necessary life buoys and belts, and was thoroughly equipped in every respect. She had three compasses, one of which was a Sir William Thompson's compass; she had also his sounding machine, with the other usual appliances for sounding. The "Aden" left Yokohama on the 8th April, 1897, under command of Mr. R. E. L. Hill, with a crew of 83 all told, 60 of these being natives of India. After calling at several ports in China and the Straits, the "Aden" arrived at Colombo, where, having filled up her bunkers with about 472 tons of coal, she took in an additional quantity of 75 tons which was stowed on deck, equally divided on both sides. She left Colombo on the 2nd of June with 34 passengers, 14 of whom were children and three native nurses. From the evidence of Mr. Gillett, a merchant's clerk at Yokohama, who with his wife and child had taken a passage home in the "Aden," and appeared to be a man of much intelligence, giving his story in a clear and reliable manner, the Court was enabled to gain the following information relative to events prior to the disaster. On the 3rd of June, the day after leaving Colombo, the weather began to change, it blowing fresh in squalls; on the 4th the S.W. monsoon burst on them with great violence, creating a heavy sea, which continued in a varying degree up to the morning of the 8th, and occasionally washed some of the deck coals overboard. In course of conversation with the captain after leaving Colombo, Mr. Gillett heard him remark that it was his intention to steer in the direction of Cape Guardafui, for the purpose of somewhat counteracting the north-easterly current which exists during the S.W. monsoon, and which he thought would take him north of Socotra. No reliable observations were obtainable for two or three days prior to the 8th through the clouded and hazy state of the atmosphere, but on that morning observations were got at 10 a.m. and 11 a.m., but no meridian altitude, and the foregoing observations were not reliable. 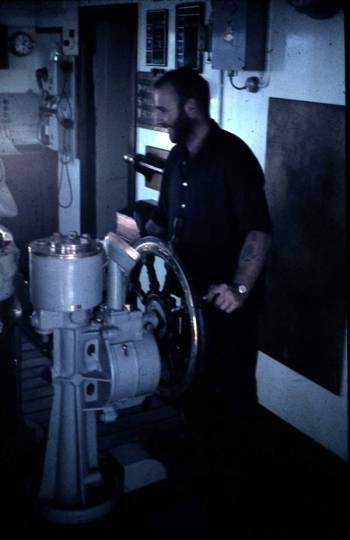 On the morning of the 8th, the monsoon blowing very strong, the master, about 8.30, brought the vessel up to the wind and reduced the speed for the purpose of getting the remainder of the coals off the deck into the bunkers, which was completed at about 11.30 a.m. The course was then altered to the north-westward, bringing the wind and sea on the port beam, the master jocularly observing to Mr. Gillett, that "they would catch it that afternoon," meaning that the ship would roll much more until they got under the lee of Socotra, where he hoped to be about midnight. Mr. Valpy, one of the surviving passengers, also stated that the captain told him he would be likely to get under the lee of Socotra about 11 p.m. According to the evidence of the third engineer, the fore and main staysails were set when the course was altered to the north-westward. Mr. Gillett states that he was sleeping in the companion way near the stairs which led to the top of the hurricane deck when the ship struck, which, according to the third engineer, Mr. White, who was on watch, was about 2.50 a.m. of the 9th. There were three distinct shocks. Mr. Gillett then rushed down into the saloon and there met his wife and child. A few minutes afterwards the electric lights went out and the saloon was filled with steam. He then brought his wife and child on deck and took shelter on the lee side. It was very dark and the seas were breaking over the port side of the vessel. All the proceedings were very orderly and there were no signs of panic, the captain gave his orders clearly, and directed the boats on the starboard side to be prepared for lowering at daylight. When the day broke the after lifeboat was lowered with three men in her, when she was struck by a heavy sea and broke adrift. On seeing this the chief officer, Mr. Carden, seized a line and with it jumped overboard to try and recover the boat, but neither he nor the boat was seen again. The second boat (a cutter) in charge of the second officer was sent to pick up the chief officer and, if possible, recover the lifeboat, but she, unfortunately, was unable to contend with the heavy sea, and drifting away was seen no more. 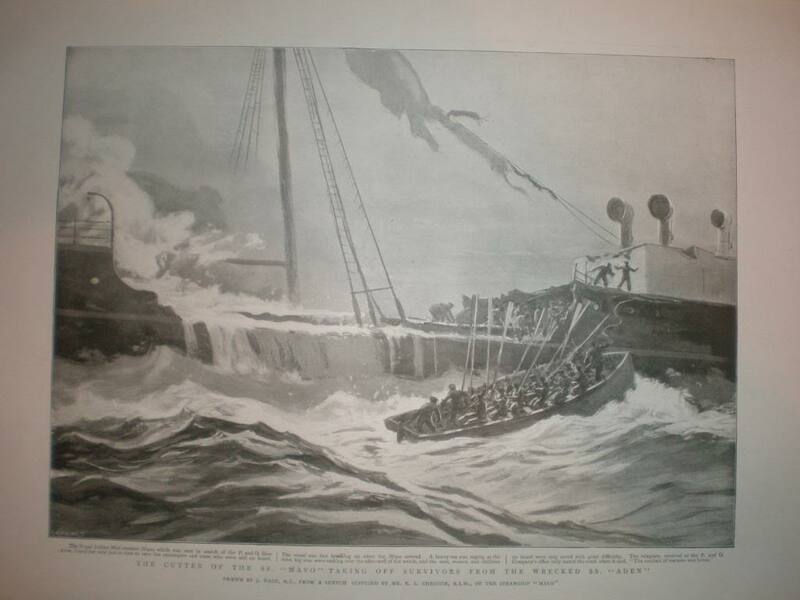 On lowering the third boat in charge of the third officer a heavy sea broke over her, carrying one of the falls away and throwing all those in her into the water, among them being the stewardess, who was rescued by the fourth officer, Mr. Hurlstone, jumping overboard to her assistance. She and all the others got back to the vessel, the boat was then baled out; the third and fourth officers took charge of her, and by order of the master left the vessel to make for the shore carrying the European A.B's., the surgeon, first and second engineers, the carpenter, the winchman and 17 passengers (ladies and children). The boat was seen drifting away for some time, was then lost to sight, and has not since been heard of. The third and fourth engineers, and Mr. Valpy, a passenger, gave similar evidence to Mr. Gillet as to what happened subsequently to the vessel striking the reef. It was also stated by Mr. Gillett, that when the ladies and children were being put into the third boat, three married ladies whose husbands where on board, refused to go in the boat with their children, preferring to remain with their husbands on the wreck. After the third boat had left, and at about 9 o'clock, the master was standing by Mr. Gillet holding on to a ventilator, when a heavy sea washed them forward; the captain's leg caught against something and was broken; he was assisted at great risk to themselves by Mr. Gillet and Mr. White, the third engineer, and brought back to a place of shelter, but was soon afterwards washed away by another sea and seen no more. During the inquiry the managing director of the P. and O. Company spoke in the highest terms of Captain Hill, who had been in their service since 1874, having risen through all the different grades; he had been in command of the "Aden" for four years, during which time he had passed Socotra about 15 times. 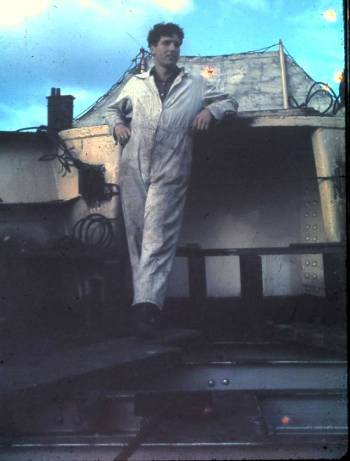 The chief officer, Mr. Carden, had been in their service for 12 years, had a master's certificate and bore an excellent reputation during the whole of his service. Mr. Miller, the second officer, had been seven years in the P. and O. service, and was spoken of in high terms. Mr. Manning, and Mr. Hurlstone, third and fourth officers, joined in 1893, and had both been "Worcester" boys of the highest character. The first and second engineers having been lost in the lifeboat, the third and fourth engineers, Mr. White and Mr. Kelt, remained on board. Mr. White, in endeavouring to save the master had his shoulder dislocated and nothing could be done to it until their arrival at Aden, when it was replaced; the fourth engineer in trying to obtain some provisions was thrown down by a sea in the alley-way and received some severe cuts about the head which rendered him unconscious for some hours. In referring back to the conversation between the master and Mr. Gillett as to his intention of steering in the direction of Cape Guardafui, we may quote from the Red Sea and Gulf of Aden Pilot some remarks as to the winds and currents prevailing during the S.W. monsoon in these regions, which bears on this subject. South-West Monsoon. The currents in the Arabian Sea at this season, from May to September, are regular in direction, but their rate depends much on the force of wind, their general direction in the middle of the sea is about East, and the average rate about one mile an hour. Northward of Socotra during the strength of the monsoon the current sets E.N.E. about 2 miles an hour, but although this represents fairly the general average of the current at this season, it is well known that occasional disturbances occur, which cause an accelerated or retarded rate, and consequently in navigating these seas accurate observations are of the highest importance. After the disappearance of the last boat on the starboard side (the port boats having been washed away on the ship striking) there were 17 passengers remaining on board, eight of whom were washed off by the heavy seas breaking over the ship during the day, the remainder, with the third and fourth engineers and a writer, Mr. Cave, found shelter, first in the bar room and later succeeded in getting into two of the saloon cabins. The Lascars, 33 in number, being berthed under the poop and under the forecastle, were able to remain there and find some shelter. 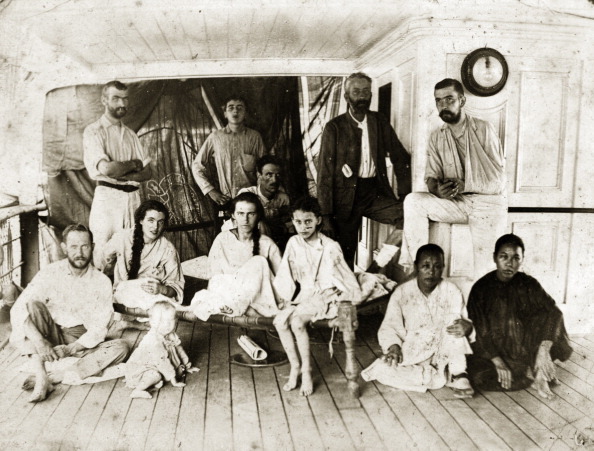 Here they remained, enduring great hardships and anxiety, until the 26th June, when they were rescued by the Indian Government steamer "Mayo," which has been despatched from Aden to look for them, and who landed them at that port on the 29th of June, the passengers being forwarded to England, and the natives to their homes in India. To show the severity of the monsoon about this period, the P. & 0. steamer "Valetta" reported in a letter of the 15th of June, that at 1.20 p.m. on the 10th, in lat. 11.37 N. and 57.42 E., they sighted a steamer having distress signals flying, stood towards her and found she was the "Sultan" of Bombay, the crew being about to abandon her in consequence of the injuries received during the heavy gales experienced about that time. The crew and pilgrims were taken on board the "Valetta" by their own and the "Sultan's" boats. Reports having been spread that three steamers had passed the wreck during the time the survivors were on board without trying to render any assistance, evidence was produced that the "Logician" passed within about two miles on the 13th of June. The master stated in his log that the sea was breaking over her and that there were no signs of any living persons on board, he therefore continued on his voyage, reporting that a steamer was on shore at the east end of Socotra on his arrival at Suez on the 26th of June. On the 17th of June the "Volute" sighted the wreck and approached within one mile of her (as close as she prudently could), and being unable to observe any indication of life on board (though all the glasses available were made use of), she, after waiting and cruising about for two or three hours, proceeded on her course. The master of the "Volute" states in his letter to the Daily Telegraph, that absolutely nothing could have been done on that evening, but had he seen any signs whatever of there being living souls on board, he would have remained in the vicinity until the following day. 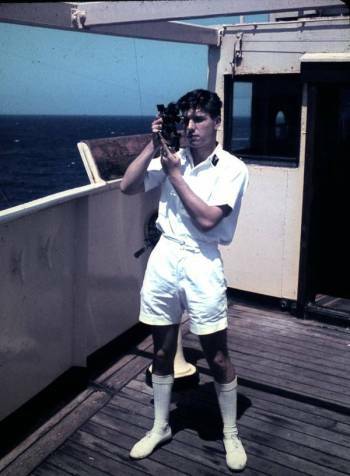 It appears that the "Coromandel," which was also stated to have sighted the wreck, was, according to the evidence, not near the Island of Socotra, but over a hundred miles off. The Peninsular and Oriental Company, although the "Aden" was slightly overdue on the 20th, were not very anxious about her, supposing that she had been delayed by the monsoon, and they knew that the French steamer "Polynesien," which is a fast boat (steaming 17 knots), had taken nine days between Colombo and Aden at this very time. On the 20th June the Company wired to Suez enquiring if there were any news of the "Aden," and received an answer in the negative. On the 21st the Company heard that a steamer with two funnels was on shore at Socotra, whereas the "Aden" had one only. On the 22nd June they wired to Bombay to send a steamer out to search for the "Aden," which they presumed had broken down; also to Aden to send a Government steamer to the east end of Socotra to see what vessel it was there. The "Ganges" (P. and O. steamer), which was at Aden, was ordered to be got ready, but she did not start. The "Peninsular" was sent down the Arabian coast, the "Hydarpes" down to the Laccadive Islands, and the "Borneo" and the "Colombo" were ordered to keep a good look out for her or any boats or wreckage. The "Rohilla" arrived in due course off Socotra, sighted the "Aden" (which was after the survivors of the catastrophe had been taken off by the "Mayo," and which fact was unknown to the master of the "Rohilla") and anchored on the north coast of Socotra, examined the coast, and then steamed around the island, returning to her previous anchorage after having convinced themselves that nobody was on board the wrecked "Aden." Being unable to land, she proceeded to Aden and reported. As before stated the survivors had been taken to Aden by the "Mayo." An expedition, consisting of officers of the P. and O. 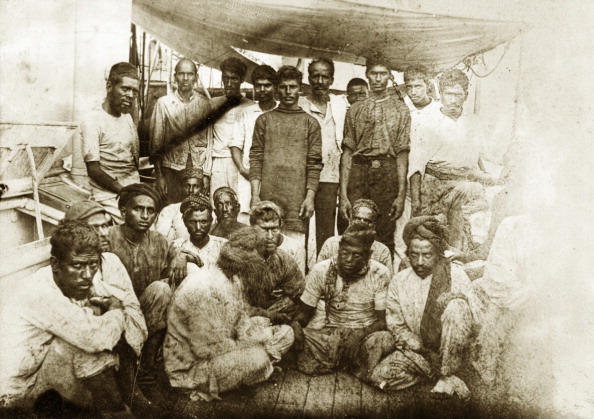 Company, shortly after left Aden in the "Rohilla" with the intention of searching for the occupants of the lifeboats which were swept away from the ship, and on arriving at the island landed the expedition. The "Rohilla" then proceeded to the Khorya Morya Islands and the Arabian coast, and after very careful searching, finding no signs of the missing boats, returned to Socotra and took on board the expedition, which also had been unable to obtain any information of the missing boats, and thence proceeded back to Aden. 1. Was the "Aden" in good and seaworthy condition as regards her hull and equipments? 2. What number of compasses had the vessel, were they in good order and sufficient for the safe navigation of the vessel, and were the errors known to the master and chief officer? 3. Was the vessel supplied with the boats and life saving appliances required by the Statute, and were the boats so carried as to be at all times fit and ready for use? 4. Was the vessel supplied with a sounding machine or other means for the purpose of readily taking soundings? 5. Was the vessel properly and sufficiently manned. 6. What was the capacity of the holds and bunkers respectively? 7. What were the circumstances in which bunker coal was shipped at Colombo. Was such coal or any of it stowed on deck, and if so were the holds and bunkers so full that it was not possible to stow it below the hatches? 8. Was the vessel put off her course to permit of the bunker coal being stowed below. If so, when was this accomplished, and are the Court of opinion that this contributed to the casualty? 9. What was the cause of the casualty? 10. What were the circumstances in which the three boats on the starboard side left the vessel? 11. What was the cause of the loss of life? 12. When was it known to the owners that the "Aden" was overdue? 13. What were the circumstances in which the "Volute," "Coromandel," and the "Logician" passed the wreck of the "Aden" without rendering assistance to those on board her? 14. When was it known to the owners that the "Aden" was ashore on Socotra? 15. Were prompt measures taken by the owners of the "Aden" to cause assistance to be sent to the survivors? 1. The "Aden" was in good and seaworthy condition as regards her hull and equipments. 2. She had three compasses, one of which was a Sir William Thompson's, they were in good order and sufficient for the safe navigation of the vessel, and the errors were known to the master and the chief officer, the vessel having been swung in January, 1897. 3. The vessel was supplied with the boats and life saving appliances required by the Statute, having received her passenger certificate on the 17th February, 1897, and the boats were so carried as to be at all times fit and ready for use. 4. The vessel was supplied with a Sir William Thompson sounding machine and with other means of taking soundings. 5. The vessel was properly and sufficiently manned. 6. Her bunker capacity was 470 tons; her cargo capacity about 6,324 tons. 7. On arriving at Colombo the bunkers were as usual filled with coal, but no coals were put in any of the holds, the reserve hold having been filled with cargo at Singapore. 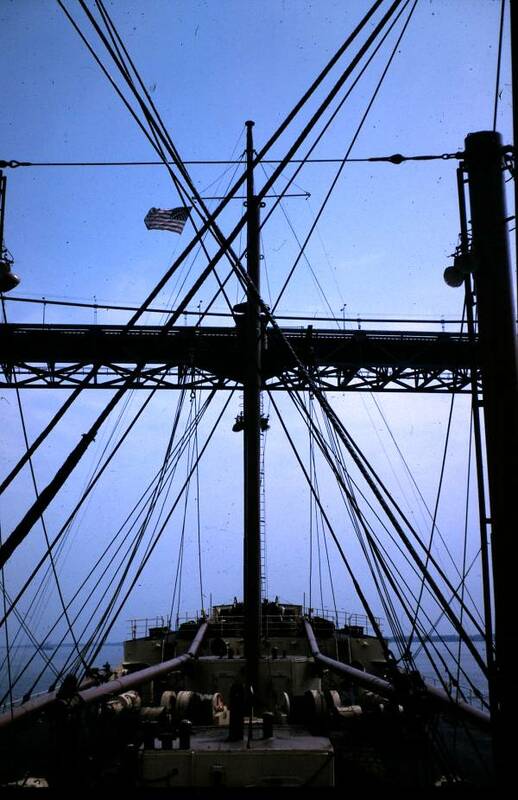 In addition, 75 tons of coal were stowed on deck, these additional coals being taken on board to avoid calling at Aden, vessels calling there being quarantined at Havre, the port for which the "Aden" was bound. 8. The vessel's speed was slightly reduced, and she was put off the course to permit of the last portion of the 75 tons of bunker coal being stowed below. There is a conflict of evidence as to the day on which this was done; but the Court is of opinion that it was on the 8th of June, and that it was accomplished by about 11.30 a.m. There is not sufficient evidence before the Court to enable it to form any opinion as to whether this contributed or not to the casualty. 9. It is impossible to arrive at a definite conclusion as to the cause of the casualty, there being no evidence from the officers or the crew; but there is some ground for supposing that the master of the "Aden" anticipated a stronger north-easterly current than he actually experienced, the current being probably abnormally less than usual at the beginning of a south-westerly monsoon, and possibly affected by a cyclonic disturbance which is alleged to have been experienced about this time by other ships in the neighbourhood. 10. On the vessel striking at about 2.30 a.m., on the 9th June, the starboard boats were swung out ready for lowering at daylight. On lowering the after lifeboat, three men being in her, she was struck by a heavy sea and broke adrift. 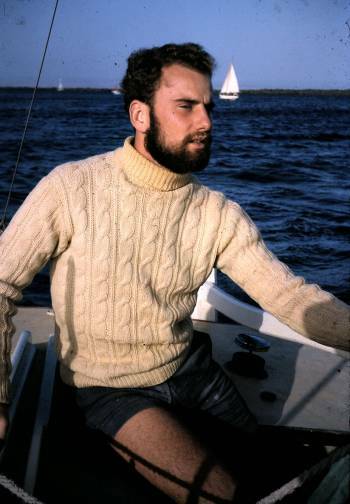 The chief officer, Mr. Carden, seeing this, jumped overboard with a line to try and recover the boat, but she drifted away and the chief officer and men were not seen again. The second boat (a cutter) in charge of the second officer was sent to pick up the chief officer, and, if possible, recover the lifeboat. The cutter, however, drifted away, and she and the men in her were seen no more. The third boat was in charge of the third officer. A heavy sea broke over her, one of the falls was carried away, throwing all in the boat into the water. Among these was the stewardess, who was rescued by the fourth officer (Mr. Hurlstone) jumping overboard to go to her assistance. She and all the others got back to the vessel. The boat was then baled out, the third and fourth officers took charge of her, and by the order of the master she left the vessel to make for land, carrying the European A.B. 's, the surgeon, first and second engineers, the carpenter, the winchman, and 17 passengers (ladies and children). The boat was seen drifting away for some time, but has not since been heard of. 11. Those who left in the boats have not been heard of since, the boats having presumably drifted away before the south-westerly monsoon. 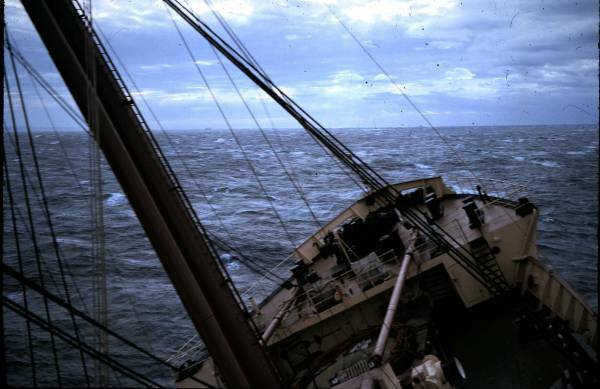 Some of the passengers and about 20 of the Lascar crew were washed overboard on the day the vessel struck, owing to continuous heavy seas breaking over her. 12. It was on the 20th of June the owners knew that the "Aden" was overdue. 13. The master of the "Volute" appears, from his log and a letter he wrote to the Editor of the Daily Telegraph, on 12th July, to have made every reasonable attempt to discover whether anyone was alive on board of the "Aden" on the 17th June when he passed the wreck. 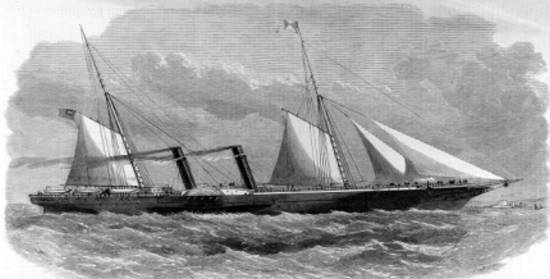 The "Coromandel" was proved not to have been in the neighbourhood of the wreck. With regard to the "Logician" an entry in her log was put in as follows: Sunday, 13th June, 1897, 3.30 p.m. Alt. c/o N. 48 W., 4.5 p.m., sighted a steamer ashore on the rocks at the east end of Socotra. No appearance of anyone on board. Black hull with white ribbon round. Fore topmast gone, funnel gone, and boats. Sea breaking right over her. Main staysail flying in rags. The Court has no reason to suppose that the attention of the master of the "Logician" was drawn to the letters in the Daily Telegraph, and shortly after his return here he started on a voyage to China. The Court feels convinced that he satisfied himself that there was no living person on board the "Aden." The Court, however, regrets that the fact of there being a vessel on Socotra was not reported by either the "Volute" or the "Logician" at Aden or Perim, one of which ports must have been passed in daylight; and if reported the survivors might perhaps have been rescued sooner than they were. 14. The first intimation to the owners that the "Aden" was ashore on Socotra island reached them on the 29th June, when they learned that the survivors had been landed by the government steamer "Mayo" at Aden. 15. Every necessary measure was promptly taken by the owners of the "Aden" to cause assistance to be sent to the survivors. Hearing a steamer was ashore on Socotra, the owners wired to Aden on the 22nd June to send out a government steamer to ascertain what vessel it was. At the same time they telegraphed to Bombay to dispatch steamers in search of the "Aden"; and subsequently sent an expedition which landed at Socotra, and sent other vessels to search the neighbouring coasts. In conclusion, the Court desires to state its sincere regret at the great loss of life on this sad occasion, and to express its deepest sympathy with the relatives and friends of those lost, and it also wishes to speak most highly of the discipline kept on board and the entire absence of panic on the part of the crew and passengers in the severely trying circumstances of the vessel striking in the night and the lights going out in a very few minutes afterwards; and to speak with the highest commendation of the chief officer, who jumped overboard to try and recover the boat which had got adrift with three men only in her, and also of the fourth officer, Mr. Hurlstone, for jumping overboard and temporarily saving the life of the stewardess; and also of the third engineer, Mr. White, and one of the passengers, Mr. Gillett, who at great risk to themselves brought into a place of comparative safety the master, whose leg had been badly broken, and was in danger of being washed overboard at that time, an event which subsequently happened. The Court also wishes to mention with approbation the conduct of the surviving Lascars and other Eastern sailors for keeping excellent discipline and voluntarily remaining on the vessel until all the passengers and others had been taken off in the boats of the "Mayo." R. H. B. MARSHAM, Judge. A general cargo ship built as the SS Somerset for the Federal Steam Navigation Company London, by Alexander Stephen & Sons Glasgow, Yard No 608,with Engines by Alexander Stephen & Sons, Glasgow, she was renamed Aden in 1954 on transfer to P&O, and saw service in the tramp liner trades, worldwide. Propulsion: 3 x Steam Turbines DR geared to 1 screw shaft. 2 x Forced Draught Water Tube Boilers supplying superheated steam at max pressure 460lbs (480lbs non Spt). 1 x Donkey Boiler supplying steam at max pressure 105lbs.